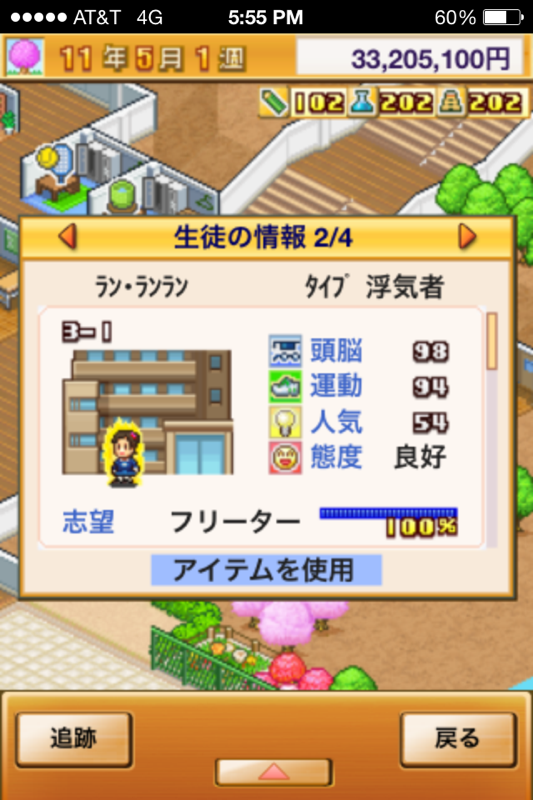 During a recent playthrough of Pocket Academy I noticed some things. Things that hadn't latched on the first time around. That is the general purpose of subsequent playthroughs, so huzzah. One particular word leapt out at me. "Spectacular! Another 和製英語 for the scrolls," thought I. But it was a little more complicated than that. There is an ever-expanding trove of katakana words attached to the Japanese language. Many are obvious enough. I imagine that「ハンバーガー」has befuddled relatively few who have toiled to learn the runes. But then there are others; they are words which, for we natives of the English tongue at least, straddle the boundaries of "Whathewhat?" and "This...could be of English origin...?" They often claim cloudy or error-laden origins. There are so many English-derived katakana words, you see, that specimens of other inspiration can be somewhat distressing. And so it was with 「フリーター」. At first I thought it was clearly 和製英語. I know enough English to know that "free" is definitely a word we use. A quick dictionary look-up revealed that a フリーター is someone who is a permanent part-time worker. I suppose they drift from part-time job to part-time job. But how does "free" relate to this? There must be something else at work here. I condemned this digital child to a life of retail vagrancy, for you. As much as I love the new age of Google search, a part of me still appreciates the simplicity of my good old electronic dictionary. So that was where I first turned for answers. "Does this qualify as 'old school' yet?" I pondered. Ah-ha! So it's ドイツ語 (German), then. Well played, Japanese. 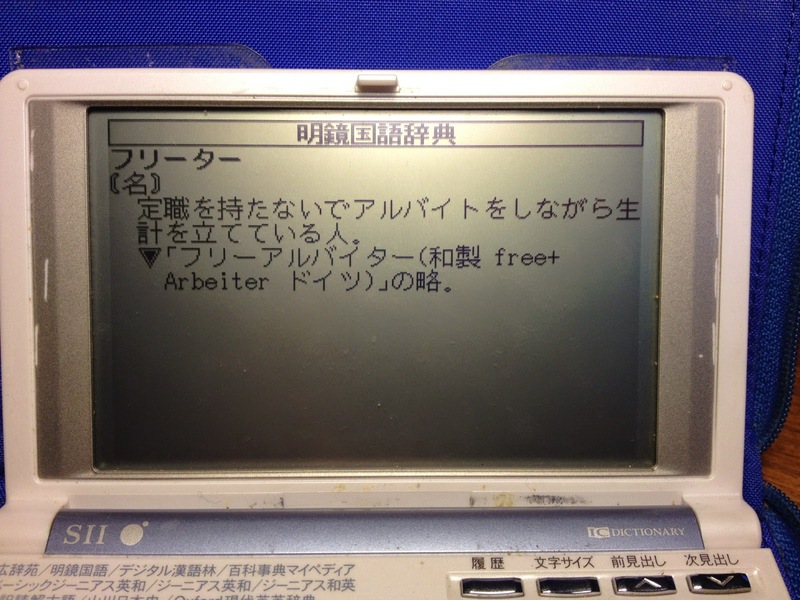 But hold on moment - the entry says 和製 free + Arbeiter ドイツ)の略. So it's 'Japanese' use of "free" + some German (that is the origin of アルバイト, by the way - another troubling katakana denizen). So it's....Engerman? And so we do ultimately turn to Google for help. = フリー・アルバイター. Then we shorten, which almost completely removes the German part but leaves a sewn together incomprehensible English result. フリーター. Freeter. That's 和製英語-y enough for me.